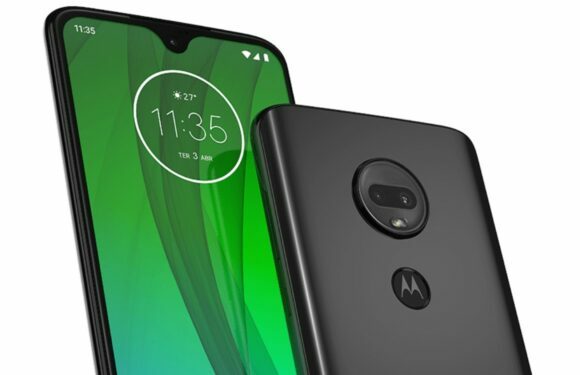 New Motorola's G series smartphone generation will be announced today on an event in Sao Paolo, Brazil. The new G series consists of four devices in total: G7, G7 Plus, G7 Play and G7 Power. 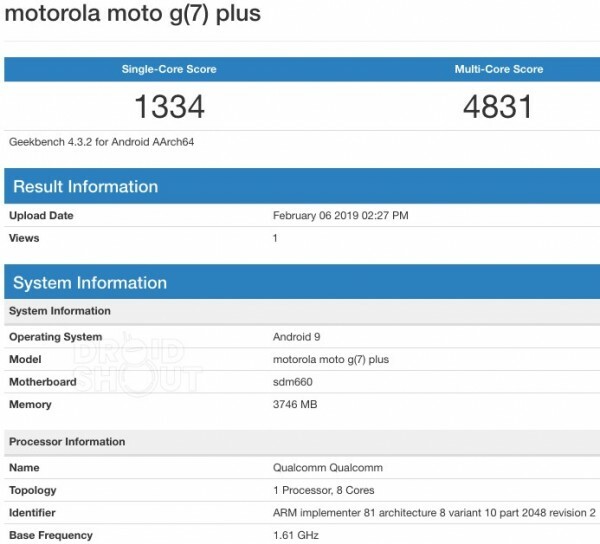 Motorola Moto G7 Plus, one of the new G series phones has been spotted in the Geekbench database. According to recent leaks it was expected that this phone would run on Qualcomm Snapdragon 636 chipset, however the Geekbench listing states that the upcoming phone will work on a stronger Snapdragon 660 chipset. This CPU will work together with 4GB of RAM and the device itself will work on the latest Android 9.0 Pie OS. The phone has scored 1334 point in single core ad 4832 points in multi core performance tests. What we also know about this phone is that it will have a 6.2" FullHD display with a waterdrop notch. The G7 Plus will have a double main camera setup with a primary 13MP sensor and a secondary 5MP camera. It will be powered by a 3000 mAh battery with 27W Turbo charging support. After today's launch event we'll have even more details and full specs about the G7 Plus as well as other phones from the G7 lineup.